My Home Plumber Adelaide offers affordable plumbing service for the blocked drains cleaning, gas fitting services, toilet repairs, leaking tap repairs, Hot Water Systems etc. Our plumbers works 24 hours and 7 days in Adelaide. 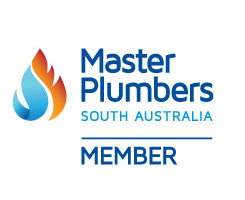 We can provide same day plumbing services across Adelaide. In emergency, our plumbers can reach your commercial or residential property within an hour of the booking. Need a Plumber in Stirling? Burst pipes repair & Installation. we have maintained a top position in the industry. We can arise any time, and it should be solved as soon as possible. We provide services 24 hours a day and 7 days a week. No matter whether you need have a plumbing emergency in midnight or wee hours, just call us, and we will reach your home or office in Stirling. Reasons why you need professional, Licensed and insured Plumber? There are many reasons why you hire a licensed plumber. At my home plumber our plumbers are licensed, insured, reliable and professional. Our experienced plumbers have expertise in performing different plumbing tasks, and have the ability to finish the job on time. Same Day Plumbing Service Guaranteed. FREE plumbing quotes over the phone. Our plumbers can travel to eastern suburbs. Australian owned and operated plumbing business. Expert Plumbing service right across Stirling. Our plumbers are experience in all areas of plumbing. We use most up-to-date plumbing tools and drain blockage machines. Plumbers are expert in general residential and commercial plumbing services. Local Plumbers, we are just 1 call away. Very quick emergency plumbing response. Whenever you have a plumbing emergency, it is necessary to first understand what type of services you need. Initially, homes and businesses use coal gas, but later it was replaced by natural gas and liquefied petroleum gas. People use this fuel for water heating, cooking food, and many other purposes. When it comes to leakage of the fuel, it has chances of fire and explosion. Thus, it is advisable to call a highly trained professional in Stirling to fix the leakage problem. People should understand that it is not only fuel that can lead to fire problems, but there are some by-products that need to be concerned about. Most of the times, the by-products are safe, and show proper operation of the fuel. If the fuel burning is not taking place properly, then there are chances of generation of carbon monoxide, a dangerous gas that can cause death if taken to the body for a long time. Thus, it is necessary to get your home checked for gas leakage. For this purpose, you can hire a qualified gas fitter in Stirling. When it comes to replacing or installing gas appliances, you should consider professional gas fitting services in Stirling. Experienced fitters have good knowledge of different safety parameters, and they carry out all the installation tasks carefully ensuring proper performance of the appliances. They test all the units, and make necessary adjustments, ensuring everything meet safety regulations and standards. My Home Plumber is operating for many years, and has established as a leading player among similar businesses in Stirling. We have a team of highly qualified, licensed gas fitters who have good understanding of fixing, replacing, and installing gas appliances. Our vans are fully stocked with all the tools and accessories the plumbing works might need. No matter what kind of plumbing services you want, how complicated the job is, where in Stirling you need services, we will send a professional plumber to your home or office. He/she will reach on time, analyze the issues, and provide necessary solutions. Fast, Friendly & Licensed Plumber Stirling? My Home Plumber is listed among the top plumbing and gas fitting service providing companies in Stirling. We are dedicated to providing our customers with unparalleled services, fulfilling all their gas fitting requirements. We use latest techniques and technology methods to rectify gas related problems in residential and commercial spaces in Stirling. 100 percent guarantee: We provide 100 percent guarantee of exceptional services. This is the reason why we are the first choice of the customers looking to hire professional plumbers in Stirling. So, don’t hesitate, call us today, and get the best services. Customers are given top priority: We at My Home Plumber consider customers as the main contributors to our success, and serve them in the best way possible. Our skilled plumbers carefully listen to what customers want, and always provide them more than their expectations. Knowledgeable staff: We understand that staff plays an important role in the growth and success of any company. At My Home Plumber, we have licensed insured professionals who have in-depth knowledge of the plumbing industry, and carry out all the gas fitting operations with care. They use innovative tools and techniques to provide the premium quality services in Stirling. Plumbers Stirling– On-Time, On-Budget, No-Callout! We have worked with a wide range of customers, and rectified a slew of plumbing issues of different types. Our fitting expert will carefully check the affected areas, and provide relevant solutions. So, don’t go anywhere when you have a plumbing or gas fitting emergency. Call us today at 1800 455 472, and request a free quote.